Riverhill School is accredited through AdvancED, an umbrella organization that includes SACS, AISA, and numerous other accrediting agencies. AdvancED covers over 32,000 public and independent institutions in over 70 countries and involves 20 million students. Schools are required to go through a re-accreditation process every five years. This process includes a visit from an External Review Team that spends several days on campus interviewing stakeholders and investigating the educational practices of the school. Five main areas are explored: Purpose and Direction; Governance and Leadership; Teaching and Assessing for Learning; Resources and Support Systems; and Continuous Improvement. Riverhill recently completed this rigorous re-accreditation process. 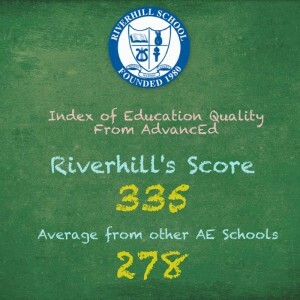 The scores for Riverhill School are listed below. 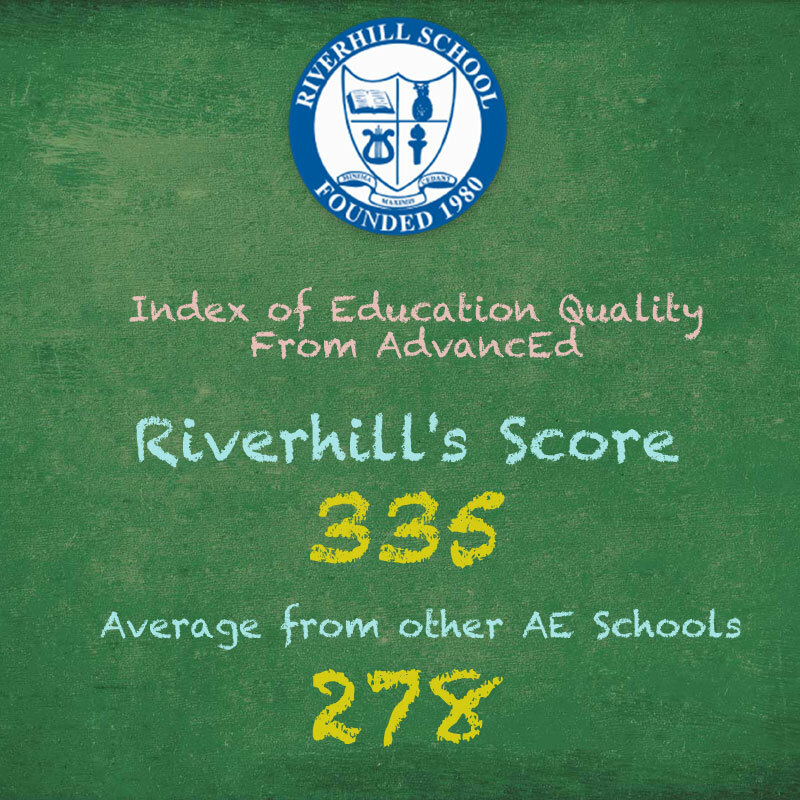 Please note Riverhill’s scores as compared to the scores of ALL the schools (public and independent) that completed this process during the last school year. We are extremely proud of Riverhill School! In addition, each school being evaluated is normally given three Continuous Improvement requirements that must be met within two years of the External Review Team’s visit. RIVERHILL WAS GIVEN ZERO REQUIREMENTS FOR IMPROVEMENT!!!! That has never happened at Riverhill, and I don’t think it happens very frequently at any school! Great accomplishment!! I am extremely proud of our staff, our students, our parents, and all our stakeholders! Riverhill is a wonderful place and this fact has, once again, been validated by a team of outside experts!